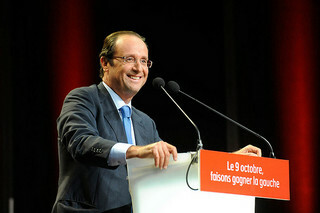 As we reach the final days of campaigning, all major polls suggest that France will be having a new president as of 7 May 2012. But the job is far from done for socialist frontrunner François Hollande. He is facing challenges on several different sides. And the most potent challenge will be voter abstention. First, the recent killing spree of Islamist Fundamentalist Mohamed Merah has allowed Nicolas Sarkozy to drift to the far right and capitalize on fears of excessive immigration and Islamophobia. This has allowed him to sweep Marine Le Pen voters and gain a lead in the first round of the election, although polls still show that he will still be beaten by Hollande in the second round. Second, the rise of Jean-Luc Mélenchon has caused some difficulty for Hollande’s credibility as a left-wing politician. The rising popularity of the charismatic far-left candidate may be useful for Hollande in so far as supporters of Mélenchon will be expected to vote for him in the second round. But this may be an erroneous calculation. Mélenchon has been successful in drawing voters thanks to his confrontational and audacious style of leadership, reminiscing voters of the heyday of leftist idealism. But Hollande, who has been branded as “Monsieur ordinary” has been criticized for a lack of energy and dynamism in his campaign, a factor that has dismayed some voters as compared to Mélenchon. And so if the current trend continues, disenchanted voters that should decide not to vote will provide the greatest danger for Hollande and incidentally, the most welcome asset for Sarkozy; a factor that Hollande himself has admitted. The biggest threat of abstention comes from the disadvantaged banlieus, where the dissatisfied electorate are prone to dismissing the two main candidates. Hollande’s trip to Vaulx-en-Velin in Rhone this Friday underscored precisely this fear. 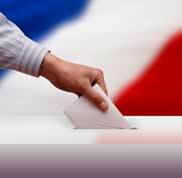 Politics 2012 is a collaborative blog that explores the upcoming French presidential elections from a youth perspective. The blog is produced by students at the School of Journalism at Sciences Po in Paris. All of the opinions expressed in each post are those of the individual authors. Youth Against Ecology: What a Riot!